There is an on-going debate on the best solution against mosquitoes. Some people say that this is represented by the bug zapper while others argue mosquito traps are more efficient. Although both devices can prove efficient to a certain extent, it seems that the mosquito trap can be more efficient. This is where the situation will require more attention to detail. Thus, if you are looking to maximize the number of killed mosquitos, you should use a dedicated trap. If you are looking to kill a larger number of insects which also include mosquitos, choosing a bug zapper could be a better choice for you. The bug zapper uses simple ultra-violet technology to kill most bugs and insects. The way this works is by attracting the insects using light. As you will see, this will attract most insects and bugs. But in certain situations, they will not attract all mosquitoes. Bug zappers are made for the ultimate all-in-one solution. This is why you will often-times see them in shops, gas stations, gyms or even in modern homes. This is due to the fact that they are efficient. This is seen immediately with the killed insects which can be cleared every day, usually with a removable tray. The bug zappers are also easy to use and easy to clean. They can be placed on either walls or flat surfaces. This versatility and compactness can recommend them for most users. Even more, there are designs which are specifically made for outdoor use. Thus, you will see that using the outdoor zappers can act as a stand-alone solution or as an addition to an indoor bug-zapper. If you have a larger property, you may even be looking into purchasing multiple outdoor insect killers which will improve the chances of having an insect-free home. Mosquito traps come with a dedicated technology which kills a larger percentage of mosquitos. Thus, you will be able to kill a considerable number of mosquitoes with the dedicated technology. Instead of using the classic ultra-violet light alternative, these devices use C02 and heat emitters to mimic the emissions of the human body. This makes them a solid option if you want a dedicated solution that can increase the number of killed mosquitoes. What to look for in bug zappers and mosquito traps? If you are looking to purchase a device which runs on ultra-violet light or which emits CO2, you will need to check the covered distance which will set its indoor capacity. If the lights system has the advantage of visibility and can work with larger areas, the CO2 system might need more power. However, it is believed that mosquitoes fly up to 25 feet which is not that much when you think about it and this is why it is important to consider the best solution for your needs. If you are serious about tackling mosquitos, the C02 device might not be enough for your entire home. While it can protect the living area or a bedroom, it might fail to protect multiple rooms. The same can be said about the ultra-violet system. If mosquitos cannot see the ultraviolet lights they will not be attracted to them. This is why a complementary solution might be required. This may come with an additional devices or devices. The great news is that you can even mount a dedicated solution outside. Thus, you will have the ability to add one bug or mosquito killer outside. The good news is that you can keep these systems at a distance from your home and they can thus also prevent insects and mosquitos from entering your home, or they can at least limit the overall percentage. The needed energy is not too high with most devices. 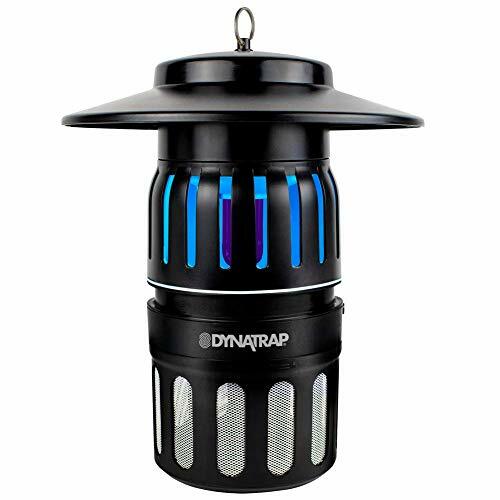 With a typical power of up to 20W, a bug or mosquito killer trap will not consume more than a regular light bulb. The difference will be made when you have multiple devices. But since most homes come with a single device against mosquitos, you should not worry about the cost of electricity. There are some small considerations to be made, however. Unlike a regular light bulb, a mosquito trap will work for the whole duration of the night. This is also the case for the outdoor solutions which are specifically designed to work at night-time. This is why it is important to find the best solution for your home even in terms of energy consumption. If you live in areas with longer summers, you will have to consider that multiple devices used for a number of months will have an impact on your electricity bills, but not more than a few lightbulbs. Since most devices are easy to set up and also provide a clear access for the mosquitos and they need to draw them in, they also have exposed elements and they can come with various hazards such as the risk of direct contact with electricity. If you live in a house with children, this issue becomes even more important. Regardless of your chosen solution, it is regarded as a good practice to keep electrics away from the reach of children. This is even more important with bug zappers. This is why you will need to keep such devices away from kids. A good solution is to simply place them on a wall, at a height which will be away from the reach of children. Another solution is to look for a design which limits the access to live elements, but considering modern requirements, you will need to find a solution which is as safe as possible.